Scooby-Doo and the gang are returning for yet another new series, Scooby-Doo! Mystery Incorporated. This time around, Scooby’s friend Shaggy will have a different but not unfamiliar voice — Matthew Lilliard. As you probably know, veteran DJ and voice artist Casey Kasem originated the role of Shaggy in the first series, Scooby-Doo Where Are You!, back in 1969. Kasem played the role in all of the show’s various incarnations and appearances for almost three decades. At some point, Kasem became a vegetarian and asked that ever-hungry Shaggy become one as well. The studio didn’t want to do it so, when Kasem was reportedly asked to perform the role for a Burger King commercial in the 1990s, he refused. Billy West (Futurama) took over and played Shaggy in the direct-to-video movie Scooby-Doo on Zombie Island. Scott Innes took over the role of Scooby-Doo for that movie since Don Messick had passed away by that time. For the next four years, Innes played both Scooby and Shaggy for other direct-to-video films. The studio apparently rethought their stance with Kasem and agreed to make Shaggy a vegetarian. Kasem returned to the role in 2002 and continued until 2009 although not exclusively. Scott Menville played the role for two seasons of Shaggy & Scooby-Doo Get a Clue!, from 2005 until 2008. This particular animated series drew its inspiration more from the live-action movies than the animated versions of the characters. Kasem did play Shaggy’s uncle however. Now, the role of Shaggy is being taken over by Matthew Lilliard. He’s no stranger to the role since, as you may remember, he’s played Shaggy in two live-action feature films. 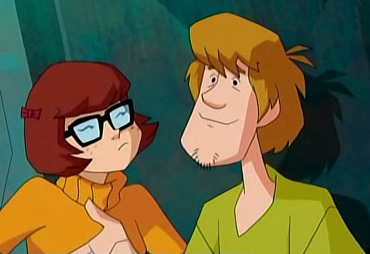 Lilliard played Shaggy in the 14th direct-to-video movie, Scooby-Doo! Abracadabra-Doo, that was released earlier this year and continues in the new series. Innes, who lives in Missouri, supposedly auditioned for the role but wasn’t chosen to replace Kasem. In the new series, Kasem’s voice will still be heard. Some of the parents of the gang will appear and Kasem, who’s apparently mostly retired, has recorded dialogue as Shaggy’s father, Samuel Chastain “Pops” Rogers. Hes 11th grade First School.